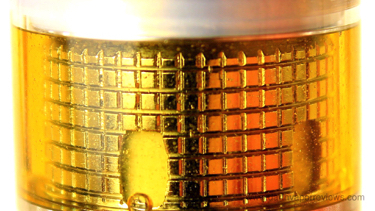 Prime the coil with several drops of e-liquid. Screw on the glass tube and fill port. Add e-liquid through one of the two slots in the top. Once full, let the tank sit for a few minutes to let the e-liquid completely soak in to the organic cotton wick. Replace the cap. Attach to your favorite mod and you're ready to vape. * Air-flow ring is a little tight to turn. * Excellent vapor and flavor production. * 14 styles to choose from. * Includes two coils and spare glass tube. 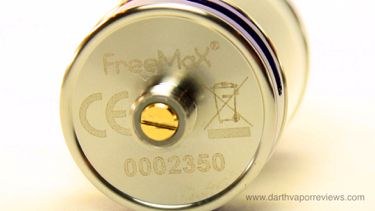 The Fireluke Mesh is a new mesh coil sub-ohm tank from Freemax Tech. The kit comes in a sturdy plastic case. The kit includes: replacement O-rings, replacement glass tube, two 0.15 ohm Kanthal Mesh coils. 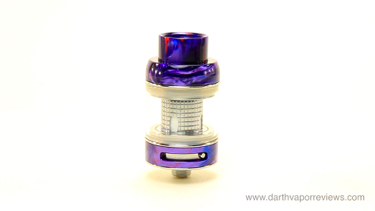 One comes pre-installed and the Freemax Fireluke Mesh Tank. The Fireluke is 510 threaded with a 24 millimeter diameter. It's bottom air-flow controlled, top filling with a 3 milliliter e-liquid capacity. 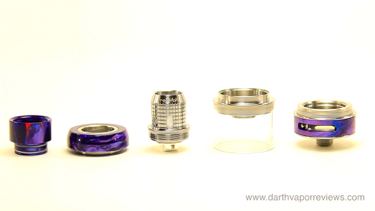 It features a replaceable 810 drip tip. It can be disassembled into 6 main parts for cleaning. 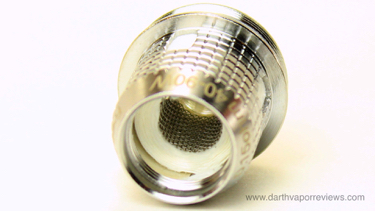 The Mesh coils have a wide contact surface wrapped in organic cotton for longer life and excellent flavor. Add a new coil to the base. 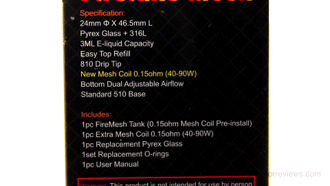 The Fireluke Mesh is a great performer The flavor from the coils was excellent. The threads were smooth and connections tight. 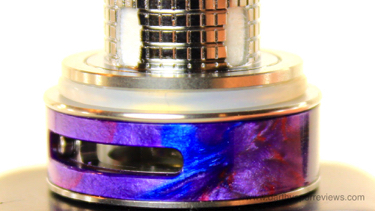 My only con is the air-flow ring is a little tight to turn.Overall, a great tank with excellent performing coils. 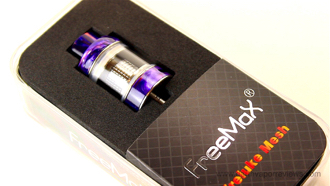 The Freemax Fireluke Mesh currently runs in the $15-$25 price range and comes in 14 colors of Metal, Carbon Fibre and Resin Tanks.